Our Twitter (@CapeTownTrains) and Facebook (Cape Metrorail) feeds provide an additional source for commuters to access service information. It also serves as a platform to maintain an ongoing conversation on issues that are important or interesting to our city and our railway. We endeavour to provide service information that is accurate, credible and timeous during morning and afternoon travel peaks i.e. between 05h00 - 10h00 and 15h00 - 19h00. During these periods, regular updates are provided on train movements, service disruptions, and other relevant service information. We have no problem with customers venting their frustration, but we do draw the line at abusive or inappropriate language. We will moderate and block users and content that is aggressive, threatening, defamatory and offensive or considered spam. We don't use social media to respond individually to complaints. Commuters with grievances can log a complaint to Metrorail’s complaint centre by sending an email detailing the issue/incident to ctcomplaints@metrorail.co.za from where it will be logged and elevated to the relevant department/manager to investigate. We do welcome comments, feedback and ideas and will try to join the conversation where we can, however, we cannot respond/act on commuter instructions relating to train operations. Commuters who do not have access to social media can view train updates on our blog at http://capetowntrains.freeblog.site/train-updates. For the latest train schedules and updates right at your fingertips visit the GoMetro mobi site, download GoMetro for Android from the Play Store or from the App Store for iPhone or dial 1204668# (20c per 20sec). personal information. We will take reasonable steps to ensure that the personal information provided is protected from unauthorised access, use, modification or disclosure. Select from routes below when registering. If you are already subsrcribed but wish to unsubscribe from the SMS service please complete the form below. 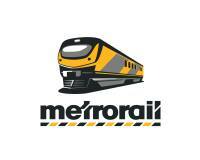 Once you have unsubscribed you will no longer receive daily SMS updates from Metrorail.